WIKA’s headquarters in Lawrenceville, Georgia, collected more than 300 new toys for children in Atlanta whose parents couldn’t afford to buy them Christmas presents. 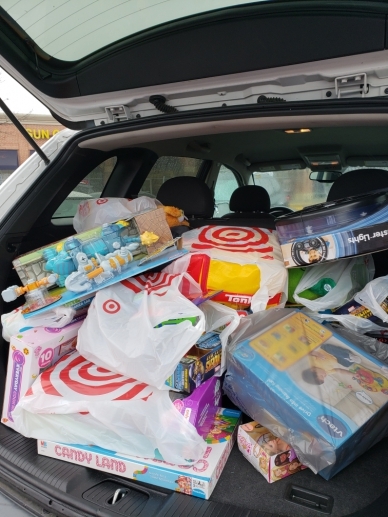 It took two trips to deliver all the gifts that WIKA USA employees collected in the 2018 Toys for Tots drive. For hundreds of children in Atlanta, their holidays were made a little brighter – thanks to WIKA’s commitment to corporate giving and the generous donations of its Lawrenceville employees. All in all, they collected 342 dolls, blocks, balls, board games, puzzles and other fun goodies for North Atlanta Toys for Tots, part of the U.S. Marine Corps Reserve’s foundation that holds this annual event. The donations from WIKA filled eight tall cardboard boxes in all. Special thanks go to Bernadette Biggs, Director of Quality, who drummed up friendly competition and resulted in 150 toys – almost half of the company’s entire collection – from her department of 27 employees. Approximately half of her team participated in the drive. She said one of the division’s staff members spurred her to action. “Angela Brand mentioned that we should kick off a challenge to hopefully encourage more donations. We did this in the past and had good participation from different departments.” Bernadette specifically contacted Shipping, which collected the second-highest number of toys. Dana Cantrell, another Quality team member, kept a running count of the department’s donations, and Bernadette updated her group with regular progress reports from early to mid-December. “I was very proud of my team for their collective donations, which helped make this a good Christmas for so many children,” she said. 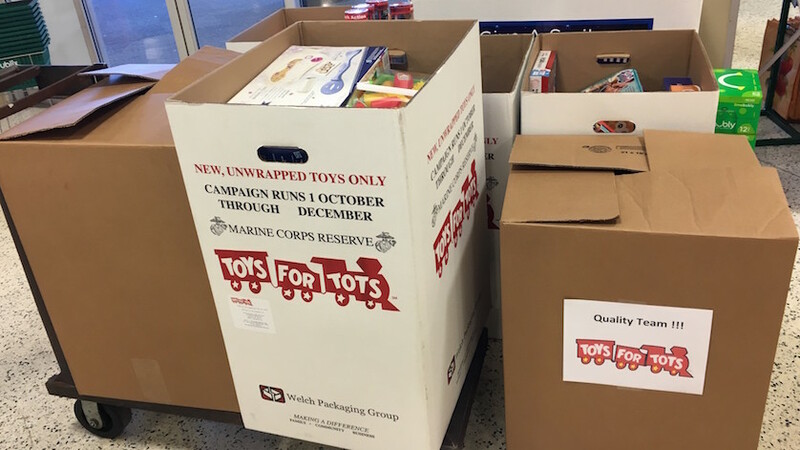 Ever since WIKA USA started participating in Toys for Tots four years ago, this corporate giving effort has brought joy to workers and children alike.